Given the law of averages, there’s a good chance some readers of this article are waiting around for their cable guy at this very moment. If you’re one of them, here’s a bit of news that might make you perk up: Two of the country’s largest pay-TV providers are giving you a chance to track technicians as they make their way to appointments. In dual announcements this week, Comcast Corp. and Dish Network Corp. both said they are rolling out apps that use GPS and mapping technology to offer real-time data about technicians’ whereabouts. The products, the companies say, will help alleviate wait-time frustrations for customers by arming them with information about when technicians will arrive at their homes, thereby taking some of the guesswork out of scheduling and keeping appointments. “One of the worst parts of the customer experience of having a provider show up at your home is knowing when that provider will show up, ” Erik Carlson, Dish Network’s executive vice president of operations, told International Business Times. Dish rolled out its “My Tech” online tool nationwide Tuesday. A day earlier, Comcast’s “ETA Tech” was launched in Oregon and southwest Washington state, after a trial in Boston in last November. The company said it plans to make the tool available in other markets soon. Both companies say the timing of the announcements is purely coincidental, despite markedly similar-sounding promotional materials. (Both pitches incorporated the phrase “No more waiting around, ” for instance.) The apps, too, are similar, with both integrating Uber-like location-sharing technology to track the progress of a technician’s vehicle as it moves toward a destination. They also transmit the first name and picture of the technician along with an estimated arrival time. Carlson said “My Tech” had been in development for about a year, and Dish incorporated feedback from technicians into its deployment, sensitive to potential privacy concerns. “A first name is personal for a customer, but it’s not so much information that the customer could track the tech down on Facebook or Twitter, ” he said. Pay-TV operators tend to rank poorly on customer service surveys, and of course the trope of “waiting around for the cable guy” has been fodder for TV comedy for decades (see “Seinfeld” circa 1996). Comcast, in particular, had a rough year in 2014 as it planned for its now-abandoned merger with Time Warner Cable Inc. and numerous high-profile customer service snafus went viral in the press. The Philadelphia cable giant vowed to do better in May of this year, announcing a revamped customer service strategy that included hiring new staffers and making infrastructure improvements. The waiting game is more than a mere annoyance, however. An IBOPE Zogby poll released in 2011 estimated that time spent waiting for in-home appointments cost Americans $37.7 billion, CNN Money reported. 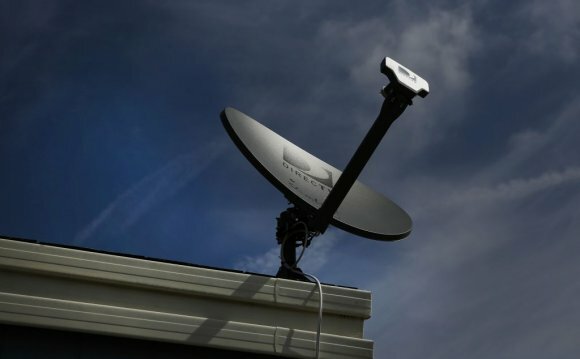 The apps released by Comcast and Dish will not necessarily get technicians to customers’ houses any faster, but a little knowledge can go a long way in terms of peace of mind. Think of the countdown clocks on subways and other public transit: Just knowing when a train will arrive somehow makes the wait a little more palatable. With two of the biggest pay-TV operators deploying the service, technician-tracking apps are likely to become the industry standard in years to come. Combined, Comcast and Dish control more than a third of the U.S. pay-TV market, according to research from MoffettNathanson.